Hand-crafted by skilled artisans, the Martine Sofa by Ottiu combines the finest materials with Hollywood glamour. 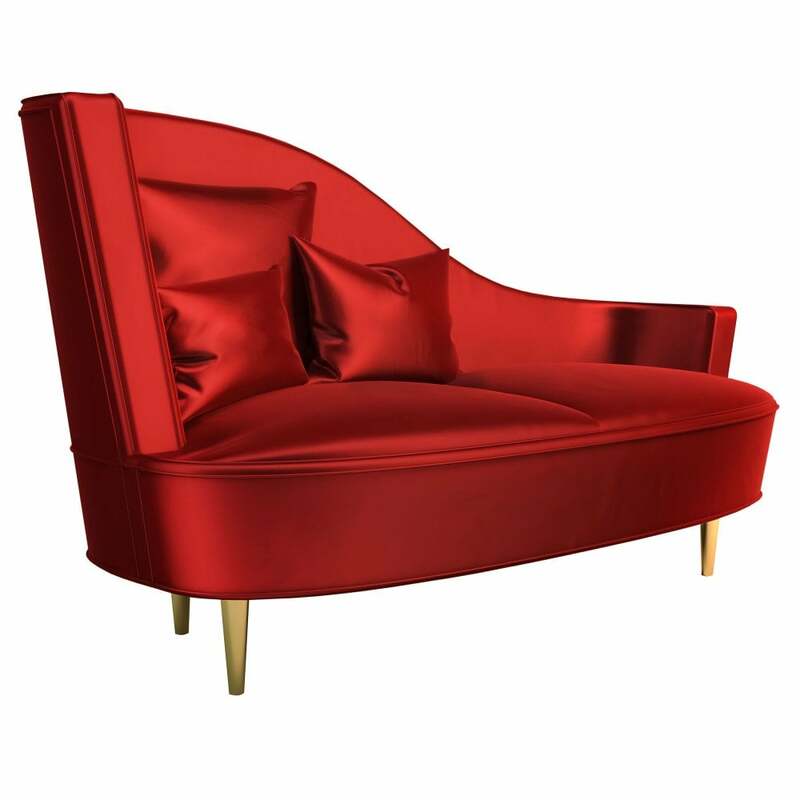 Inspired by Bond girl, Martine Carol, the striking seat is upholstered in red satin with plush cushions and a contoured backrest. Complemented by polished brass feet, the Martine sofa has a mid-century modern feel with a Parisian elegance. Part of the Century Collection, this statement design works beautifully in both modern and period properties. Style with opulent flocked wallpaper and eclectic textiles for a chic French look or with neutral paint and metallic accessories for a contemporary aesthetic. Get in touch with our team for bespoke options. Priced for Upholstery: Ottiu Fabric. Structure: Pinewood, polished brass legs. Details: Satin cushions.